Summary: New system does not require costly hand-annotated data during training. The researchers’ neural network was fed video from 26 terabytes of video data downloaded from the photo-sharing site Flickr. Researchers found the network can interpret natural sounds in terms of image categories. 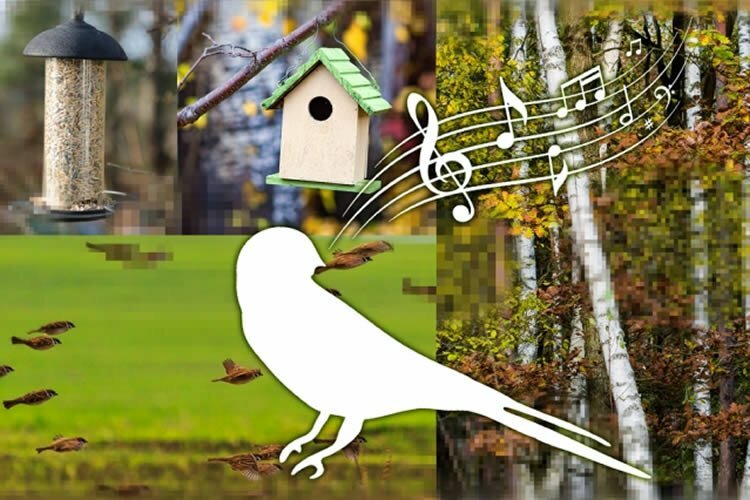 For instance, the network might determine that the sound of birdsong tends to be associated with forest scenes and pictures of trees, birds, birdhouses, and bird feeders. Neurosciencenews image is credited to Jose-Luis Olivares/MIT. Vondrick, Aytar, and Torralba first trained a neural net on two large, annotated sets of images: one, the ImageNet data set, contains labeled examples of images of 1,000 different objects; the other, the Places data set created by Oliva’s group and Torralba’s group, contains labeled images of 401 different scene types, such as a playground, bedroom, or conference room. Funding: The research was funded by the National Institutes of Health BRAIN Initiative and the MIT Simons Center for the Social Brain. Image Source: NeuroscienceNews.com image is credited to Jose-Luis Olivares/MIT. Video Source: The video is credited to Carl Vondrick. Original Research: Full open access research is available online via the MIT website. MIT. “Computer Learns to Recognize Sounds By Watching Video.” NeuroscienceNews. NeuroscienceNews, 2 December 2026. MIT. “Computer Learns to Recognize Sounds By Watching Video.” http://neurosciencenews.com/video-sound-machine-learning-5665/ (accessed December 2, 2026).